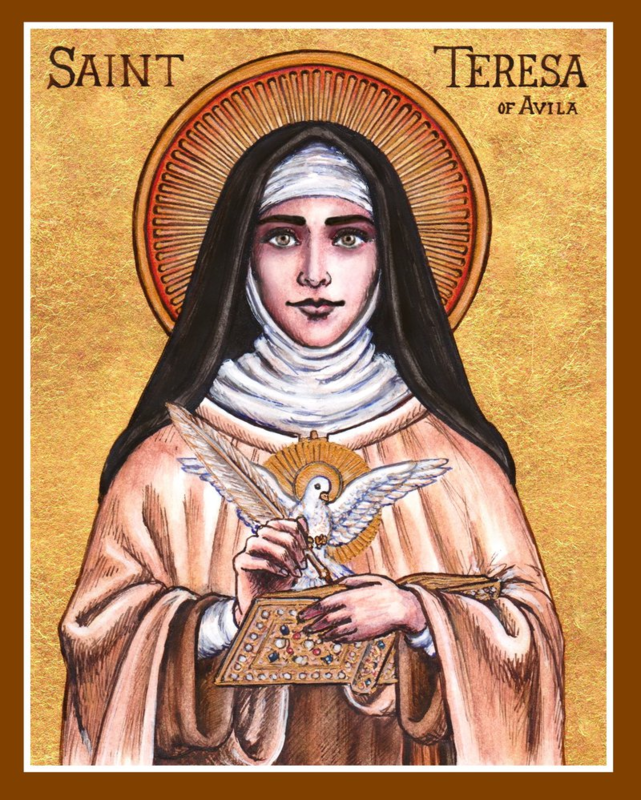 St Teresa of Avila As a young child, Teresa showed signs of a deeply religious nature. She would often retreat into silence for prayer and would enjoy giving to the poor. In her teens, Teresa’s mother passed away leaving the young Teresa distraught at the void she felt. She turned to praying to Our Lady for comfort. Teresa spent a number of years in a convent where she suffered from a severe illness that left her legs paralysed for three years. However following this she experienced a vision of Christ that changed her life forever. St Francis St Francis was born in Italy in 1181. St Francis received visions from God asking him to help to repair the Christian Church and live a life of poverty. Consequently he abandoned his life of luxury and worked for God. Francis’ great works inspired other young men to follow in his footsteps. These groups of men became an official part of the Catholic Church caked the Franciscan Order which is still active serving the poor throughout the world today. 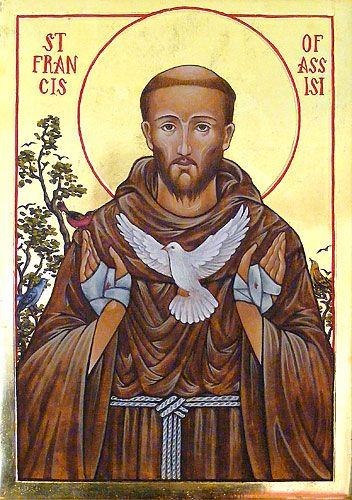 St Francis is still remembered worldwide today for the miracles people say God performed through him and the compassion he showed to the vulnerable, the poor, the sick and animals. St Christopher Saint Christopher is a legendary 3rd century Christian martyr and the patron saint of travellers, since it is said that eh once carried Christ in the form of a small child across a river. Small images of him are often work around the neck, on a bracelet, carried in a pocket or placed in vehicles by Christians. 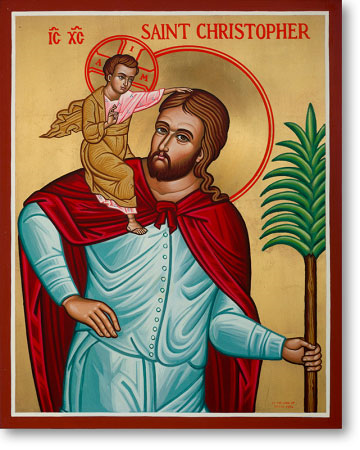 Can you find out more about the stories associated with St Christopher? How does he inspire you? 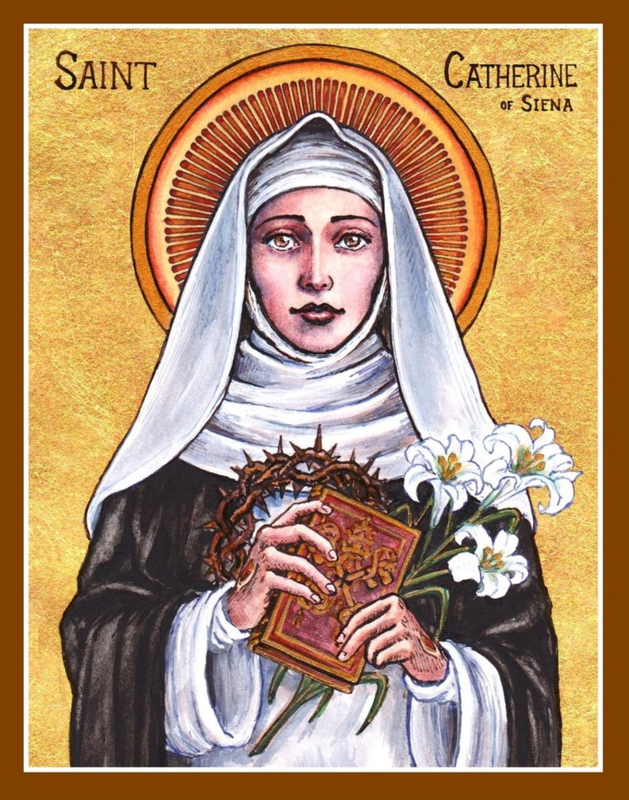 St Catherine of Siena Catherine was a cheerful, bright and intensely religious child. At 13 she joined the Dominican Sisters of Penitence in Siena. By the time she was 20, Catherine had become so widely known for her holiness that she attracted a group pf spiritual disciples – priests and laymen, men and women. In 1376 Catherine was persuaded to act as a mediator and bring peace to Florence. Catherine wrote of her religious experiences in a series of ‘dialogues’ with God. This work, which because an Italian classic is still read today. St Bernadette St Bernadette was born in Lourdes in 1844. Her family was very poor and as a child Bernadette became ill with Cholera. One day, when Bernadette was out searching for wood for the fire, Our lady appeared to her. At first nobody believed that Our Lady could have appeared to a poor sick children but eventually they started to. 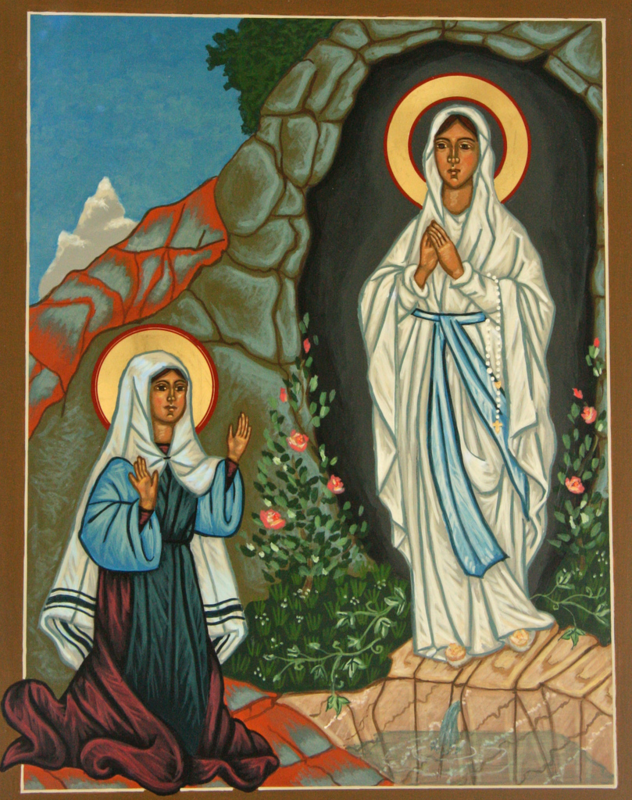 Mary appeared to Bernadette on several occasions, requesting Bernadette to do wonderful charitable works such as organising the building of a chapel. Lourdes is now a pilgrimage site for worshippers from around the world. What else do you know about St Bernadette? How does she inspire you? 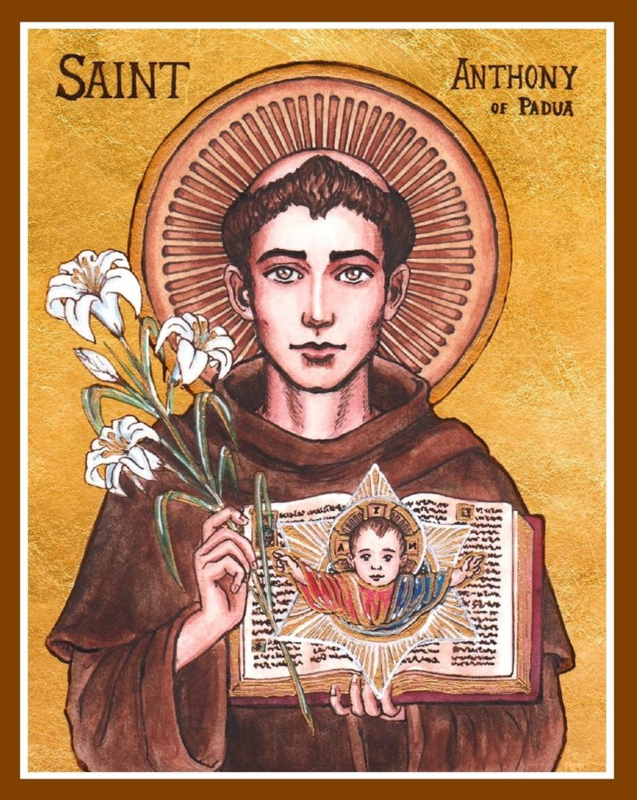 St Anthony St Anthony of Padua was a powerful Franciscan preacher and teacher. He is typically portrayed holding the child Jesus or a lily, or book, or all three, in his arms. St Anthony is the patron saint of lost and stolen articles. Can you find out some more information about this special saint? How does St Anthony inspire you every day?